Prepare your best rig and reap the benefits of Battlefield on PC. 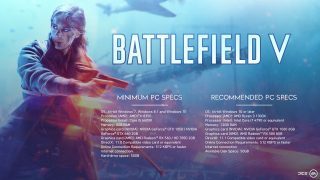 When it comes to PC gaming, the Battlefield™ series has always been about pushing the boundaries to give players as many options as needed to tune the graphics and performance experience to their liking. DICE will continue this tradition with the release of Battlefield™ V, showcasing the high-end gaming fidelity and performance at launch with continuing support. 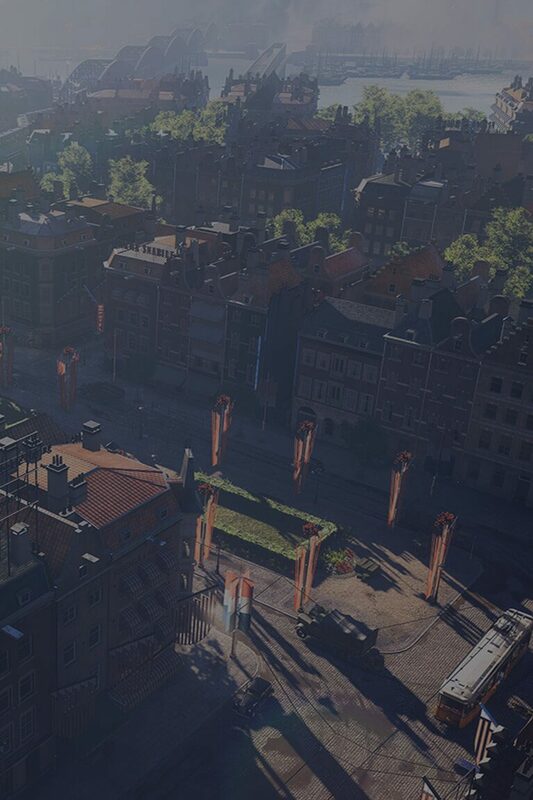 Today, we’ll tell PC players just how far they can push their rig when playing Battlefield V. Whether you’ve built the dream desktop and want to run multiplayer on a 4K display or use an optimized mid-range machine to tackle single-player at a smooth frame rate – there are enough feature options for everyone. The large-scale battles of Battlefield V can be played at nearly any resolution. If you’ve got the gear to run 4K or maintain high frame rates during wild firefights, we’re not about to stop you. 4K Resolution – We’re delivering support for nearly any screen resolution, including true 4K for graphics cards and monitors that can support it. Field of Vision – One monitor or two, ultra-wide or regular, we have a FOV and aspect ratio to fit whatever monitor is used to play your games. Uncapped Frame rates – With the right machine, this can result in shorter input delays and better performance at frame rates beyond 60 fps. Maximum frame rates are capped at 200 fps. Scalable UI – The on-screen User Interface can be adjusted, making it bigger or smaller in view, depending on personal preference and available performance and/or memory. Part of the pleasure of a modest or high-end PC build is getting it to run just the way you like it. Battlefield V is built for tuning to yield optimal performance. High-end graphic settings – Included support for the highest-end graphical and performance settings across numerous categories includes adjustable draw distance, texture quality, shadow quality, and more to give PC players the freedom to fine tune fidelity or performance. NVIDIA Ansel – Ansel is a photo mode that pushes the limitations of traditional screen capture and is integrated for use in the single-player War Stories. Ansel allows PC players to create custom, cinematic screenshots with free camera, custom filters, and more. ﻿Download GeForce Experience﻿ to access ﻿NVIDIA Ansel﻿, or share your photos on ﻿Shot with GeForce﻿. 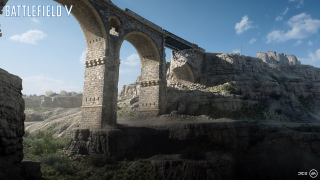 NVIDIA Highlights – Battlefield V’s dynamic, massive multiplayer battles always create memorable one-of-a-kind moments and with Highlights, those moments will automatically be recorded and saved. Once you’ve finished playing, recorded Highlights can be reviewed in-game, and your favorites quickly shared on social with the world. Colorblind Mode – Full customization of color options for those affected by colorblindness. The right mouse and keyboard settings can mean the difference between a flick shot or a whiffed shot. Play with confidence and comfort using Battlefield V’s deep key mapping options and various adjustable game settings. Raw mouse support – Enabling raw mouse input allows 1-to-1 movement between your hand and the in-game mouse movement. There is no delay, smoothing, or any acceleration between hand movement and the screen movement. Input remapping – Complete keyboard key mapping options are in place to suit a variety of player-specific preferences. Logitech LED – Logitech G is the official Battlefield V PC gaming gear partner. Logitech's LIGHTSYNC RGB technology adds lighting cues and customization for their keyboards, mice, and headphones when using Logitech Gaming Software or Logitech G HUB. Spectator mode exists across all platforms, however there are PC-specific features that users can take advantage of. The mouse scroll wheel can be used for improved camera zoom. Users can adjust the mouse sensitivity for all spectator cameras. Improved keyboard input: After selecting a specific player in a squad, their squad mates will have a dedicated key bind to quickly jump between the members of the squad. Users can save resolution scale specifically for Spectator Mode and separate from the base game video options. ﻿Deploy with style – pre-order Battlefield V and get the Firestorm Ranger Set﻿. Follow Battlefield on ﻿Twitter﻿ and ﻿Instagram﻿, like us on ﻿Facebook﻿, and subscribe to our ﻿YouTube﻿ channel. Hop in and join the Battlefield Community on the Battlefield ﻿Forums﻿, and discuss with us on ﻿Reddit﻿ and ﻿Discord﻿. **CONDITIONS, LIMITATIONS AND EXCLUSIONS APPLY. SEE ﻿ea.com/ea-access/terms﻿ AND ﻿origin.com/store/origin-access/terms﻿ FOR DETAILS. One free trial per EA account. After the trial, the current Origin Access monthly or annual membership fee will be billed. Cancel during the trial period without charge.